A medical doctor offers practical training in traditional Native American healing wisdom. A Lakota prophecy tells of a day when Westerners will join Native wisdom-keepers to create a new, integrated vision of healing. Dr. Lewis Mehl-Madrona believes that day has arrived. With The Spirit of Healing, this physician and lifelong student of Native American spirituality invites you to discover healing practices informed by both modern medical and psychiatric knowledge and the “narrative medicine” of traditional healers. Mind-body medicine has shown how important our thoughts are in determining our health. In tribal practice, this is expressed in the power of story—when we learn to listen to the stories underneath an illness, we can illuminate the path to healing. Dr. Mehl-Madrona reveals time-honored techniques and ceremonies for calling on the strength of our ancestors, community, and helping spirits so that we can re-create our life's story as one of wholeness and health. Native medicine focuses on enhancing the underlying harmony of our lives, not only within our bodies, but in our relationships to each other, the environment, and the spirit world. 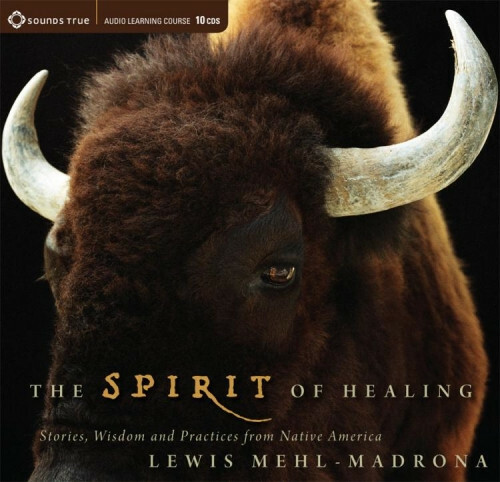 Offering over six hours of stories, insights, and practices, Dr. Lewis Mehl-Madrona provides indispensible guidance for integrating Native American wisdom into your life with The Spirit of Healing. Mr Mehl-Madrona's cd set is wonderful and I have been thinking about his message everyday. I work in one of the "helping professions" and his CDs have helped me to expand the range of service I have been offering. The piece about stories has been most helpful because in my personal and professional life I've been running some stories that aren't really creating the life I deserve. I am enjoying them and look forward to the Tuesday podcasts.